Hello crafty friends, happy Thursday!! Welcome to the first day of the Pretty Pink Posh July 2017 Product Release Blog Hop! If you arrived here from the Crystal Thompson’s blog you are on the right track. I have two summer-themed cards to share with you today using the new Summer Friends stamp set along with other PPP products – I think some of you might already see these cards on the PPP blog before. I started by stamping sandcastle, beach ball, bucket from the Summer Friends set on watercolour paper in black pigment ink. I then watercoloured them with Distress markers, die cut them with the Summer Friends coordinating dies. For the beach scene, I created clouds using the Stitched Borders 2 dies (I used the scallop border die as a stencil), sandy beach using Distress markers, then trimmed the paper down using stitched rectangle panel die in the Stitched Notes die set. For the sentiment, I used the Summer Friends and the Camping Friends stamp sets. I mounted the background panel on pale blue card base using double-sided tape first, and then added images on it using foam tape. For my second card, I stamped all images from the Summer Friends set on watercolour paper in pigment black ink, then coloured them with Distress markers. Once the panel was completely dry, I die cut it with an A2 sized rectangle panel die. For the sentiment, I heat embossed it on blue card stock in white, then cut the small banner. I mounted the watercoloured panel on white card base using double-sided tape first, and then added the sentiment banner on the bottom right corner of the card front using foam tape. There are 4 $25 gift certificates up for grabs (two winners each day). Winners will be picked randomly along the blog hop. Comments must be left by 11:59 PM PST on 7/18/2017. Winners will be announced on the PPP blog. This entry was posted in Pretty Pink Posh, Watercolor cards and tagged Blog hop, Pretty Pink Posh, Release, Summer, Watercolor. Bookmark the permalink. Love these summer images! Awesome cards. Great cards! I especially love the sandcastle beach scene! The background card of children is a fabulous idea! Great cards! I especially love the first card – so playful! Certainly worth seeing again! They are so great! Love how you created the clouds in the background. Love the idea of using the stamps to create the background instead of as a focal point. Beautiful coloring. TFS! Your cards are so cute!! 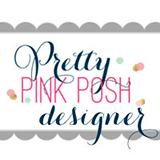 I wish I had these Pretty Pink Posh stamps right now so I could make a card like yours!!! Just can’t get enough of these adorable images!! Love what you’ve created!! Oh my goodness! What an adorable card! Great coloring job! Summer cards are awesome and urs are the best ! Gorgeous cards, especially the one with all the cute children! Such fun cards! Happy Summer! Great cards! Those kids are so adorable! Love the all over background card with them. Makes me smile! Great PPP release! Loving this hop with all of it’s talent and inspiration! Thanks for sharing yours! I absolutely love your second card with all the beach characters! The fact that you used them to create such a great background was the best! Two happy cards full of colors ! So easy but awesome cards! Fabulous colouring. Super cute summer cards. Lovely colors & full of fun. Cute cards. The beach friends is my favorite. Love your cards and your beautiful coloring! Sweet beach scene and adorable little folks! I can’t stand it! Everything is too cute!!! You did a beautiful job on these cards! I love those sweet beachy images! Awww!!! Such adorable cards!!! Too cute!!! Two sweet cards! What a fun release this has been! these stamps are so cute!!!! so fun! I always look forward to your cards – so fresh and creative! Love these two! Wow, on the last card you’ve coloured all the little kiddos so beautifully and really showcased how adorable every one of them is!! And that first card is amazing!! The background clouds and the sand are absolutely perfect and the images are again coloured so nicely!! Beautiful cards!! I love your second card so much! !